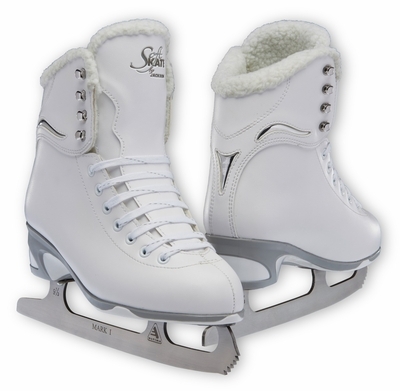 SoftSkate by Jackson combines the comfort and warmth of our populare Softec skates in a traditional white figure skate. Luxury comfort to start you off on the right edge. Fashionably placed chromed insert that adds style and sophistication. 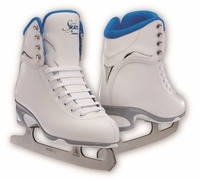 Reinforced vinly upper with padded covered tongue and rolled padded collar gives support, warmth and comfort. New fashionable no maintenance PVC outsoles.